* Interesting observation, the IR of both the Formula and Tattu have gone up slightly compared to last time I checked, although I haven’t used them since my last review. This confirms that IR does go up over time. The Fusion is actually a 1580mAh pack, close to 1600mAh. Capacity is measured by discharging the battery from 4.2V to 3.5V per cell during flight. To test the performance of the batteries, I flew around this race course multiple times. The routine includes a 5-second WOT punch out (100% throttle), and low throttle cruising the rest of the lap. Current and voltage are measured where the red dots are, the data will help determine the performance of the battery, for example, how much power the battery can provide, how bad the voltage sag is, and how fast the voltage recovers from a “punchout”, etc. Pay attention to the voltage sag at each punch out, the lowest voltages. The Fusion has outstanding performance in terms of voltage sag, it held up the best in punchouts. The Formula has really close performance, but it seemed to take a couple of laps to catch up. It’s was only 8°C so it’s probably affected by temperature more than the Fusion? Power is the product of current and voltage. The clear winner is the Fusion, it consistently provided the highest power through the whole flight in all 3 batteries we tested. 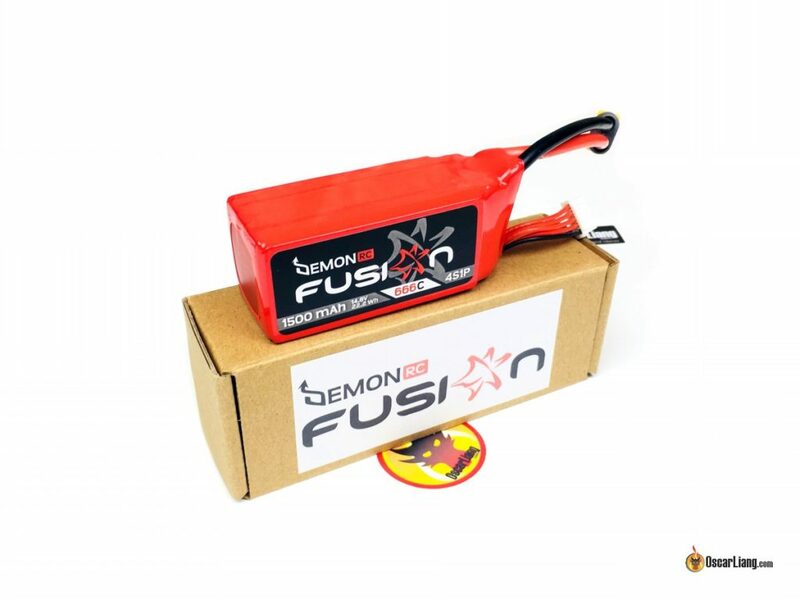 The DemonRC Fusion 4S 1500mAh seems to be an excellent battery from the test: low and consistent IR, provides outstanding power and handles voltage sag like a champ. I am surprised that it actually out-performed the more expensive Acehe Formula, which is also one of the top batteries out there in terms of performance. If you are in Europe, you can’t go wrong with the Fusion :) Highly recommended! 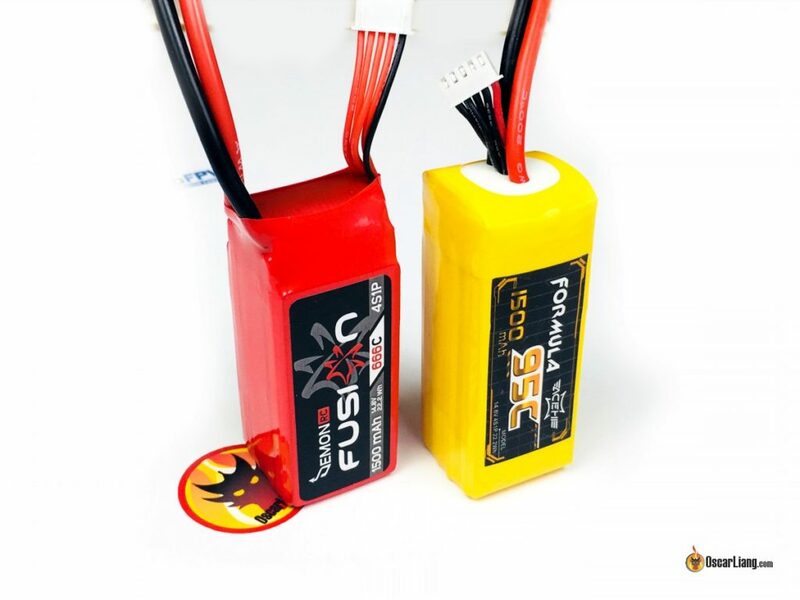 Will you recommend this DemonRC batteries for Freestyle flying? Yes they are very good batteries and should be great for Freestyle. Here are some other great options too. The link to the Tattu battery you provide is the 45C version, not sure if the link is to the wrong battery or if you are comparing a high end battery to Tattu’s lowest end. It would have been more of a fair comparison to use at least the Tattu 75C or even the R line 100C. The prices are clearly stated, the Tattu in this test are cheap, so people understand why the other two batteries are more expensive.